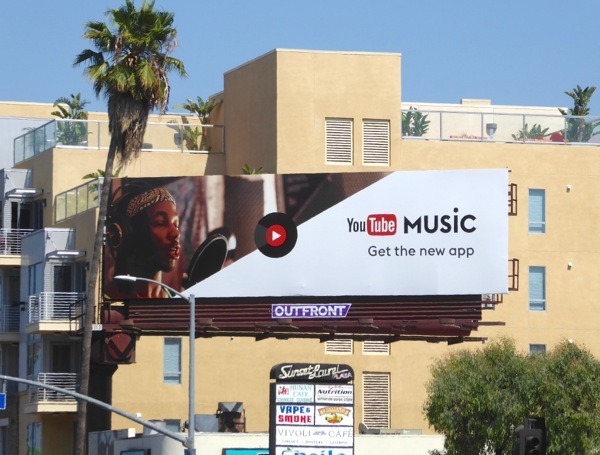 Following months of promoting their paid-for subscription service YouTube Red and its original television series and movies in the city skyline, the worldwide video-sharing website has turned its attention to its new YouTube Music app. 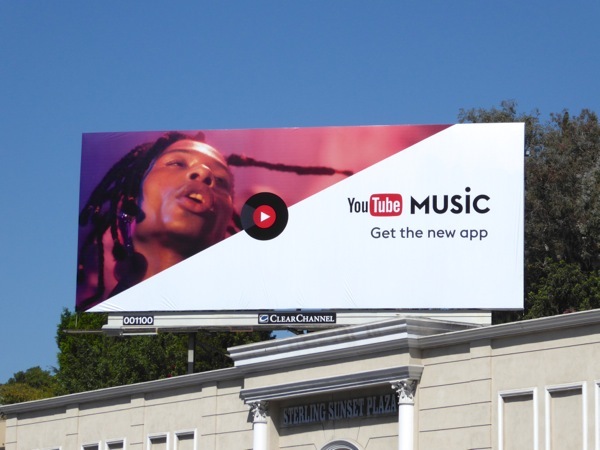 The Google-owned portal is certainly making sure everyone knows about their music streaming service with all these outdoor ads around the streets and skies of L.A. 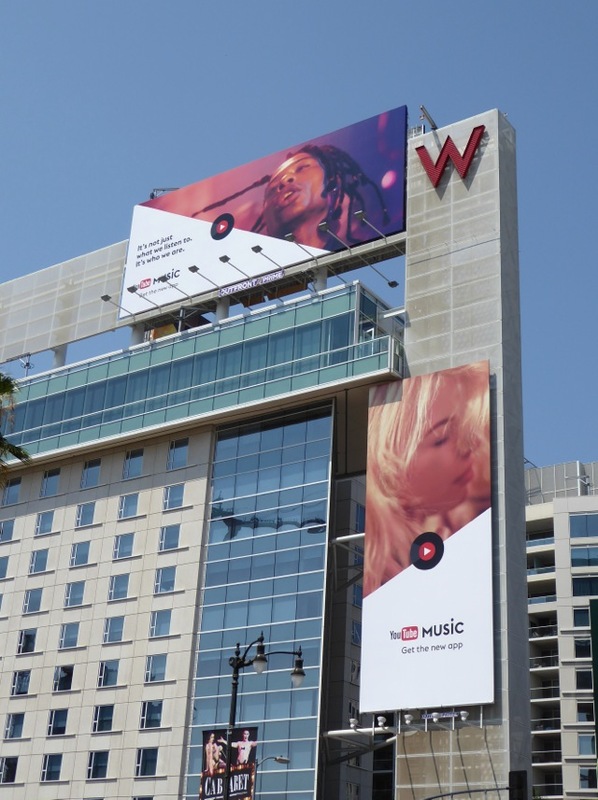 It's no wonder they're throwing money into out-of-home support as they're playing catchup a bit with the likes of Spotify, Apple Music, Tidal, Google Play and the rest. 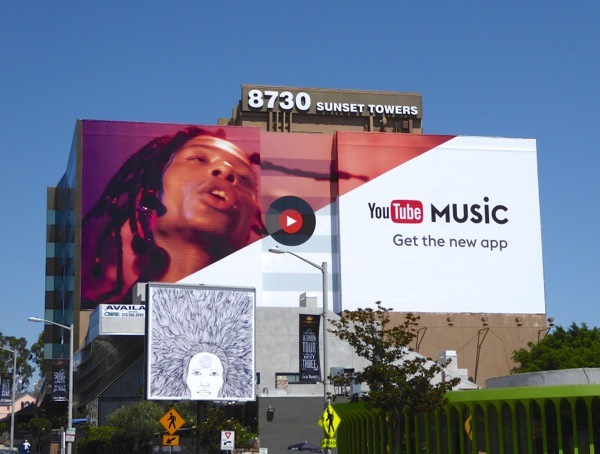 When you think about it YouTube's younger demographic is probably the perfect audience for this kind of service, it's already a destination for music videos and emerging talent (along with all the funny cat videos), and they really do embody the idea that "Music isn't just what we listen to. 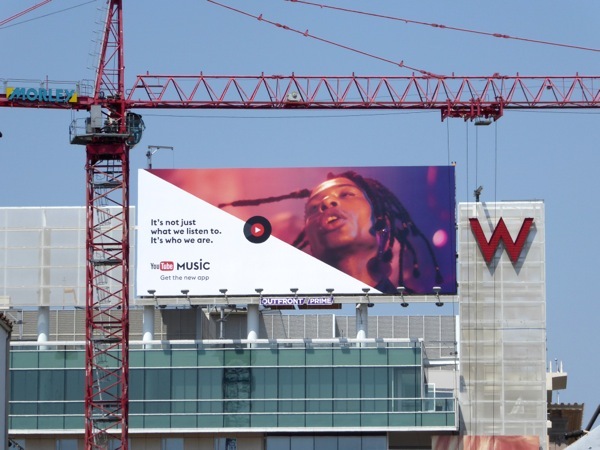 It's who we are". 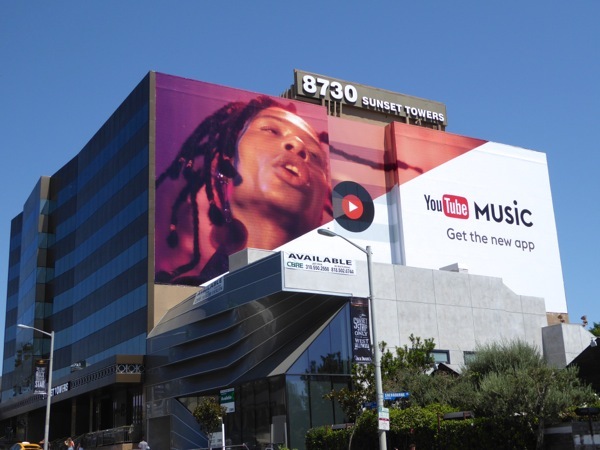 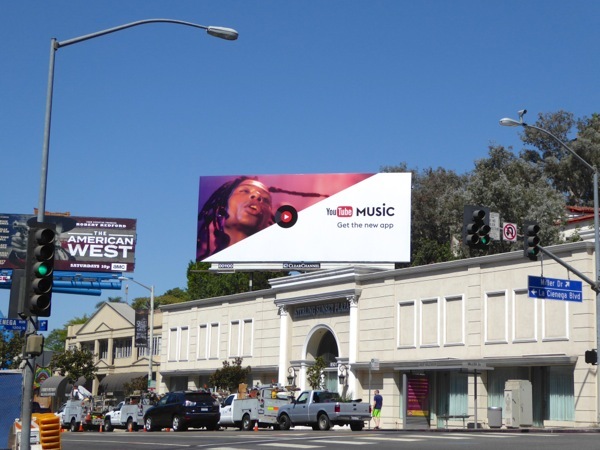 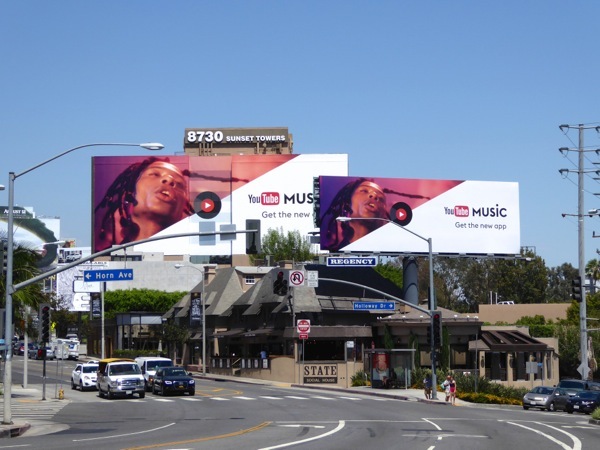 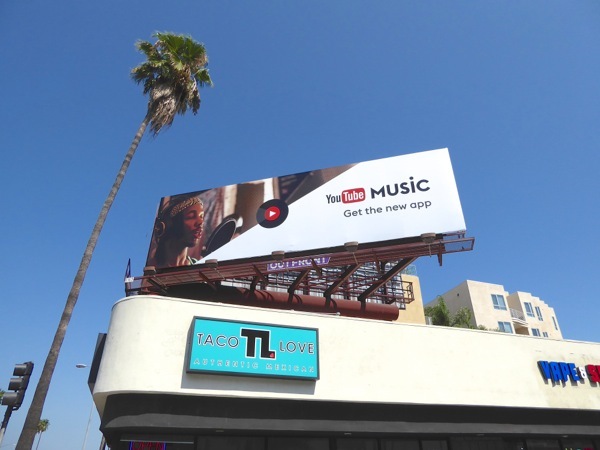 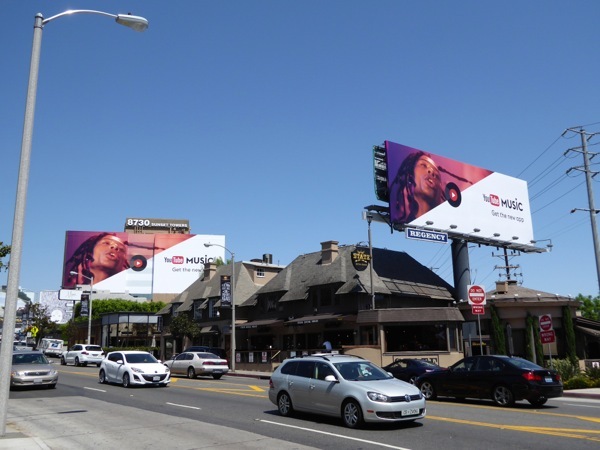 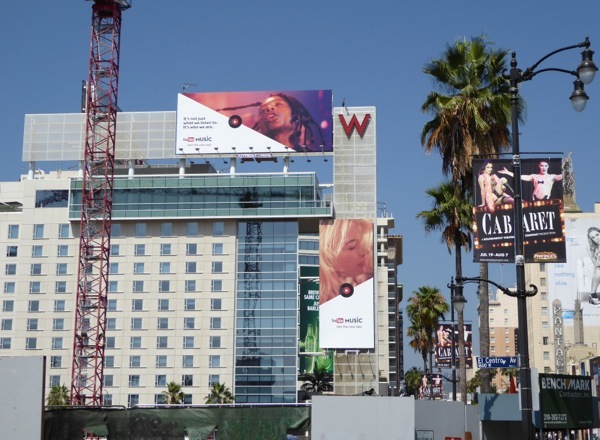 This assortment of YouTube Music billboards were snapped taking over the Sunset Strip, Sunset Boulevard and Hollywood Boulevard from July 26 to July 29, 2016. 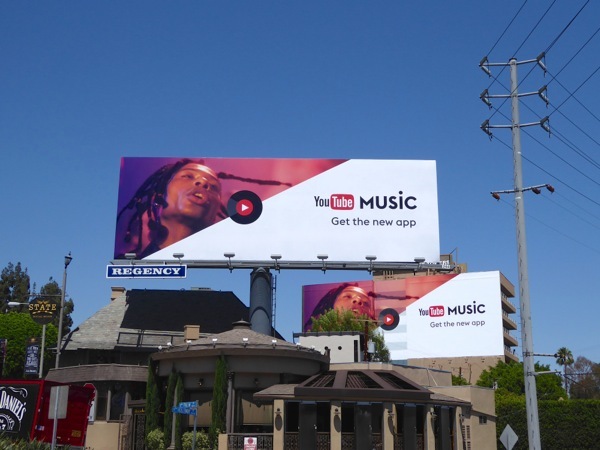 For more from YouTube, be sure to also check out these 2015 YouTube Music Awards billboards and these recent YouTube Red billboards. 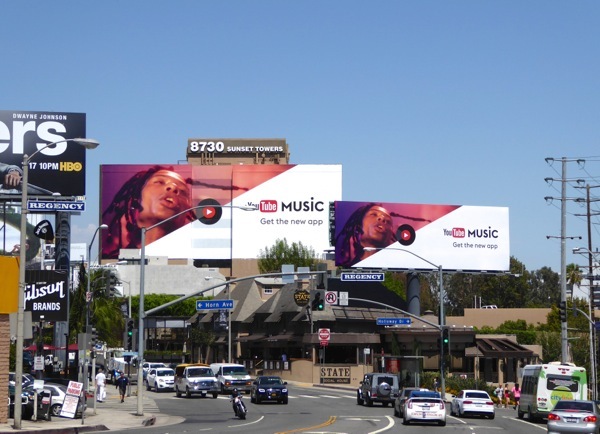 Meanwhile for more music streaming advertising, be sure to take a look at these Rdio billboards, Apple Music billboards and Google Play music billboards from recent years as a comparison. 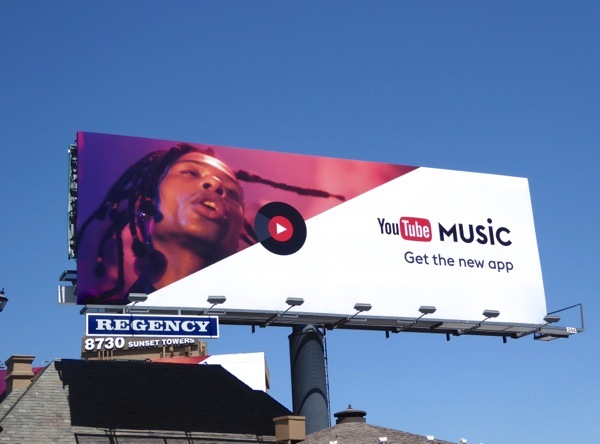 Will you be downloading the app to listen to the latest tracks and old favourites, discover new music and personalize your listening experience, or will you stick to playing your vinyl LPs on your record player in your bedroom?